Making simple updates to your home like caulking and weather stripping doors and windows will keep drafts out and heroes warm in the winter. Act now, save later. 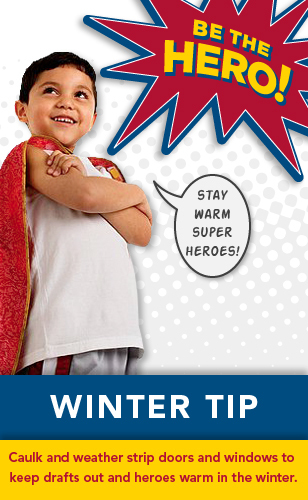 For more tips on how to winterize your home visit flash.org.